Holger Gerths is founder and CEO of HI-CHART GmbH, a software company offering the IBCS® Certified Software products Chart-me XLS and Chart-me WEB. 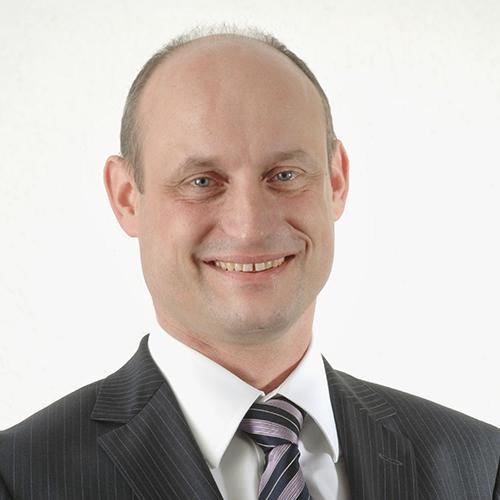 Holger Gerths has been working in IT projects focusing on business content in BI and reporting for more than 20 years. In 2004, he started his cooperation with Rolf Hichert. While Rolf elaborated the SUCCESS rules, Holger developed the technical implementation, especially in Excel and PowerPoint. By now he can realize virtually any requirements for business charts by using special tricks without programming. For this purpose, he conducts extensive research that has made him an internationally acknowledged Excel specialist. Today hundreds of companies use his “invented” tips and tricks, which he conveys in the form of training courses, consulting projects and software products. An overview of this is the book published in the second edition of the Haufe publishing house “Designing Business Charts with Excel based on the standards of HICHERT®SUCCESS” in German and English. Since 2009 he has worked primarily on the development of template solutions in which the Excel tricks are applied to implement sophisticated chart requirements with MS-Office standard components. 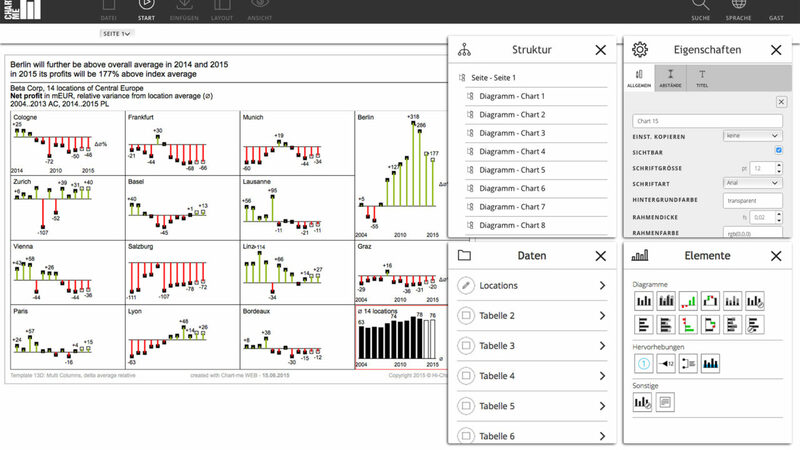 In 2011 Holger Gerths founded the HI-CHART GmbH offering the IBCS® Certified Software products Chart-me XLS (with a graphical user interface in Microsoft Excel) and Chart-me WEB (to be used stand-alone or integrated in SAP BusinessObjects Design Studio). 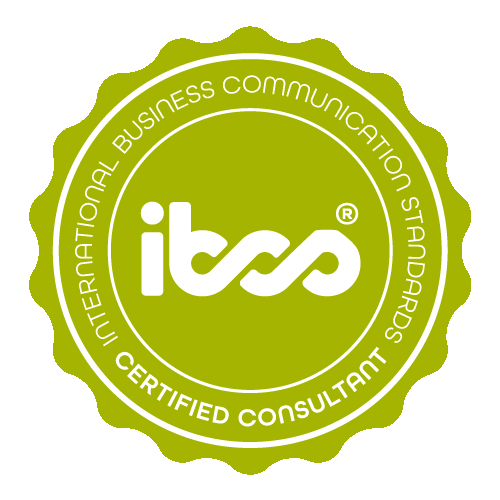 Holger Gerths has been awarded the IBCS® certification for successful design of reports and presentations for his long-term cooperation with Rolf Hichert on the implementation of the SUCCESS rules in Microsoft Excel. Work sample 1 This graph is intended to provide an idea of how large scale differences can be clearly illustrated. Work sample 2 A beautiful table solution with absolute and percentage variances. 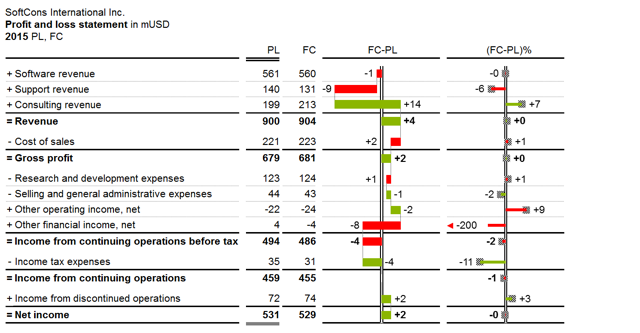 The graphs are precisely integrated into the table, despite the different row heights on the hierarchical levels. Work sample 3 The same technique as in works sample 2, this time with a waterfall chart. 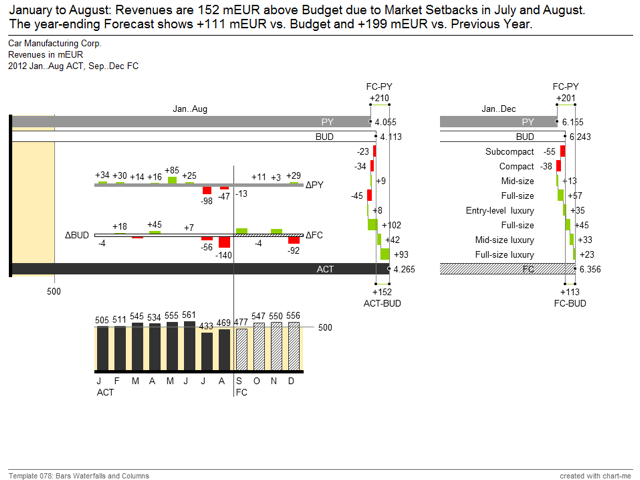 The waterfall values and the subtotals are simply configured in Chart-me. 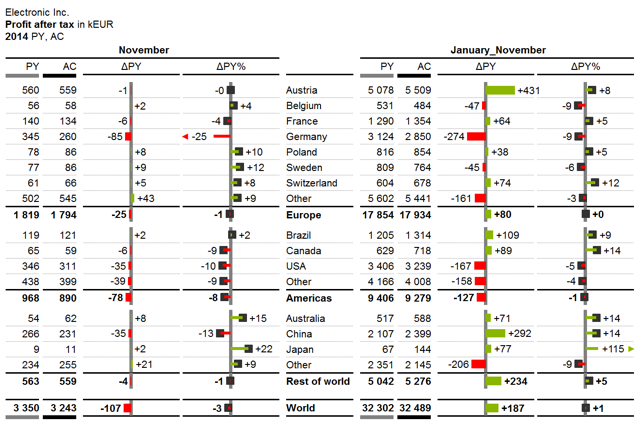 Work sample 4 An elegant and very slim table solution with variance bars, which consist directly of Excel cells without chart objects.